Fund management is primarily regulated through Swedish legislation. There are currently, in very broad terms, two types of Swedish funds that are recognised as such under Swedish law: undertakings for collective investment in transferable securities (UCITS) and alternative investment funds (AIFs). AIFs include all funds that are not UCITS funds (such as private equity funds) and Swedish special funds (such as hedge funds). Swedish UCITS are regulated by the Securities Funds Act (SFA) implementing Directive 2014/91/EU (the UCITS V Directive) and AIFs are regulated by the Alternative Investment Fund Managers Act (AIFMA) implementing Directive 2011/61/EU (AIFMD) although it is mainly the managers of AIFs that are regulated. The Swedish Financial Supervisory Authority (SFSA) acts as the competent regulator responsible for ongoing supervision of funds, fund managers and for the issuance of supplementary regulations and formal guidance to the aforementioned acts. The SFSA is responsible for ensuring that the business of fund managers is carried out in accordance with applicable laws and regulations. The Securities Markets Act (SMA) implementing Directive 2014/65/EU (MiFID II) and the SFSA’s supplementing regulations further regulate the use of intermediaries and services ancillary to fund management. All marketing activities that have the purpose of furthering the sale of any product in Sweden, including funds, are subject to the Marketing Practices Act, which requires, for example, that marketing is carried out in accordance with generally accepted marketing practices. In relation to marketing of funds, the Swedish Investment Fund Association (SIFA) has issued guidance as regards, inter alia, the marketing of funds, which is considered codifying generally accepted marketing practices. The Swedish Consumer Agency, which includes the Consumer Ombudsman, is the primary authority responsible for ensuring that marketing material is in compliance with the Marketing Practices Act. Fund administration services are generally unregulated but there are certain administrative services, for example custodial services, which are only possible to provide under the prerequisite of a regulatory licence to conduct such business. If a Swedish custodian is delegated custody functions or where the fund administration services include trade settlement, the relevant entity must be authorised in accordance with the SMA. A Swedish fund is not, per se, subject to an authorisation or licensing process; instead, it is incumbent upon the manager of the fund to obtain authorisation from the SFSA to act as a fund manager. However, where a fund manager intends to manage a UCITS or an AIF formed as a special fund (a subcategory of domestic funds that derogate from a wider spectrum of regulation, which may not be freely marketed abroad), the authorisation process includes a requirement that the fund rules must be approved by the SFSA. To obtain authorisation to act as a fund manager, an application would have to be submitted to the SFSA accompanied by, inter alia, a programme of operations of the fund manager and the fund rules of the funds to be managed. Depending on the type of investment fund, slightly different rules will apply in relation to the authorisation process. In relation to the management of UCITS and special funds, the following requirements and process apply. A Swedish investment management company must be a limited liability company and have a board of directors consisting of at least three members and a managing director. Any natural or legal person who holds or may be expected to hold a qualifying holding (as defined in question 5) in the management company has to undergo an ownership assessment by the SFSA for the purposes of determining whether the natural or legal person is suitable for ownership of an investment management company. Further, a person who will serve as a member of the management body of the management company, or of the management body of an entity holding a qualifying holding in the management company, must undergo a management assessment by the SFSA. The key requirement applicable to fund management companies primarily entails acting in the common interest of the unitholders. In general, a fund management company must conduct its operations in an honest, fair and professional manner so as to maintain the confidence of the public in the fund market. Further, the fund management company is obliged to have and maintain a minimum capital of own funds during its operations and ensure that it has adequate risk management systems together with sound routines for the operation, accounting, internal control and management of its information systems. A Swedish AIF manager (AIFM) applying for authorisation to manage an AIF other than a special fund would essentially need to comply with the requirements stipulated above and must be a legal person, but not restricted to the form of a limited liability company. The formation of the AIF (save for AIFs formed as special funds) is, however, not contingent upon the SFSA’s approval of the fund rules (or similar documentation). €500 million when the portfolios consist of AIFs that are unleveraged and have no redemption rights exercisable during a period of five years following the date of the initial investment in each AIF. These managers are subject to supervision by the SFSA, as well as the registration and reporting requirements under the AIFMD. Initially, a division has to be made between managers established inside the European Economic Area (EEA) and outside the EEA. In the former case, the manager would need an authorisation in its home country and activities may subsequently be performed in Sweden either from the overseas manager’s home country or from inside Sweden, subject to the establishment of a Swedish branch office. If the manager has already been granted an authorisation in its home country within the EEA, pursuant to either the UCITS V Directive or the AIFMD, the overseas manager may ‘passport’ its licence into Sweden via the competent supervisory authority in its home country, and separate authorisation from the SFSA is thus not necessary. Following such passporting, it is also possible for the overseas manager to manage Swedish funds provided the manager’s authorisation in its home country includes management of fund types comparable to the type of Swedish fund the manager wishes to manage. In relation to management of a UCITS or a special fund, a separate authorisation must, however, be obtained from the SFSA that includes approval of the (revised) fund rules. The manager must also ensure that, in Sweden, it can make disbursements to unitholders, redeem units, provide investors with required information and handle complaints, which may be satisfied through the appointment of a local paying agent responsible for the aforementioned services. If an EEA-based manager wishes to manage a Swedish AIF that is not a special fund, no separate authorisation from the SFSA is required. A fund manager established outside the EEA may only perform management activities or provide services to Swedish investors provided the manager has been granted an authorisation from the SFSA in accordance with the Swedish national regime. The acquisition of a controlling stake (ie, a qualified holding) in a fund manager is subject to prior authorisation from the SFSA. The application has to be submitted to the SFSA in writing. A qualified holding is defined as a direct or indirect ownership where the holding represents 10 per cent or more of the share capital or the voting rights or otherwise makes a significant influence of the fund manager possible. The latter is the case when, for example, a shareholders’ agreement allows for the appointment or dismissal of more than half of the members of the fund manager’s board of directors. Authorisation is also required prior to the increase of a holding through an acquisition where the holding would exceed 20, 30 or 50 per cent of the share capital or voting rights in a manager of UCITS funds. Should the acquisition of such manager occur through the division of joint marital property, testamentary disposition, corporate distribution or another similar measure, an application for retaining the shares has to be submitted to the SFSA within six months of the date of the acquisition. The AIFMA does not contain rules on thresholds for when an approval from the SFSA is necessary other than when a holding is qualified. Thus, the SFSA’s approval is required for all acquisitions or increases in holdings of shares or voting rights above 10 per cent. In general, the fund manager’s compensation (ie, fees deducted from the fund assets) must be clearly disclosed to investors. Compensation may generally only be deducted in the form of fees that relate to management of the fund assets (including, for example, custody and transaction costs), subscription and redemption. Pursuant to the rules stipulated by the AIFMA and the SFA, a fund manager’s compensation must follow an established remuneration policy that is consistent with, and promotes, sound and effective risk management. A fund manager that provides advice to non-professional investors shall comply with the restriction of third-party provisions set out in the SMA, which establishes that the fund manager or an investment firm may only accept or give remunerations if such remunerations improves the quality of the service and does not affect the company’s ability to act honestly, fairly and in a professional manner and provided that the client is provided with a full, correct and understandable description of such remunerations. This rule does not apply to remunerations that are necessary in order to provide the fund management or the service and as long as they are of such nature that they do not conflict with the company’s obligation to act honestly, fairly and professionally. An investment firm that provides investment advice or discretionary portfolio management may not accept and retain remunerations of various kinds received from anyone other than the clients. The SIFA has issued guidance stipulating that, in the event income is derived from securities loans, the income must accrue to the fund. Any profit-sharing arrangement would have to be in compliance with the fund manager’s obligation to act in the interests of the unitholders. Internally, a Swedish fund manager shall have a remuneration system, as well as a remuneration policy, in place. Broadly, this policy shall be based on sound and effective risk management, taking into account the risk profile of the fund and the interest of the unitholders. Marketing of UCITS or AIFs (including special funds) requires prior registration or passporting of the relevant fund in Sweden. However, once the relevant fund has been registered or passported in Sweden, it can be marketed without any additional licence for the marketing entity provided that the marketing does not include offering (ie, promotion of registered or passported funds can be carried out without further authorisation) (see questions 15 and 26). It should, however, be noted that different types of authorisation are required in cases where AIFs are to be marketed to Swedish non-professional investors. The definition of marketing varies depending on the type of investment fund. As regards UCITS, marketing is considered as any direct or indirect offering or placement of units or shares of a UCITS at the initiative of the UCITS, or on behalf of the UCITS, or to investors domiciled, or with a registered office, in Sweden. As regards AIFs, marketing is considered to include all types of advertising or promotion such as advertising in the mass media, cold-calling, emails, oral information provided at the offices of the fund or its promoter (if the offices are located in Sweden) and websites using the Swedish language or otherwise containing information specific to the Swedish market or Swedish investors. This means that the scope of marketing activities requiring authorisation is wide. Notwithstanding that the above definitions are different, the analysis of what constitutes marketing and thus requires an authorisation would, in practice, be the same for a UCITS and an AIF. The applicable Swedish legislation should be interpreted to include any marketing or promotional activities carried out in Sweden or directed towards Swedish investors. In determining whether an activity is directed to Swedish investors, a number of factors need to be taken into account including, for example, whether the communication is in Swedish, whether a Swedish contact address is provided and whether payment can be made in Swedish kronor. In the absence of authorisation in respect of the relevant fund, an overseas entity may not direct marketing activities towards Sweden. A fund may, however, be marketed under the concept of ‘pre-marketing’, which is, in principle (however, not categorically), before the fund has been established. The scope of this exemption is, however, unclear and cannot be used to circumvent the obligation to obtain authorisation. A fund may also be marketed on a reverse-solicitation basis, meaning that the investor initiates the contact with the manager. Such marketing can only be carried out on a product-by-product basis and only allows the entity to provide the investor with information specifically requested. Once the relevant fund has been authorised in Sweden for marketing purposes, the overseas entity may carry out marketing on a cross-border basis into Sweden. It should be noted that cross-border marketing is not intended to include regular activities being carried out in Sweden, but rather being conducted from outside Sweden. There is no requirement to involve a local entity in the fund marketing process. An overseas manager that is conducting marketing of a UCITS, or an AIF that is a special fund, to Swedish investors must ensure that payments (eg, dividends), redemptions and disclosure of information relating to the fund can be made in relation to investors. These requirements may be satisfied through the appointment of a local paying agent to be responsible for the aforementioned activities. Fund managers must take all reasonable steps to identify potential conflicts of interest that may arise between the intermediary and the client as a result of commission payments. Commission payments to intermediaries are only allowed if such are made for purposes of enhancing the quality of the relevant service and provided that the manager is not impeded from acting in the interest of the unit or shareholders. Commission payments are considered to enhance the quality of a service when the commission is proportional to the higher level of service provided to the client and if it provides the client with a tangible advantage. Intermediaries (being entities authorised by the SFSA) distributing or selling funds separately must be able to demonstrate that the commission received is devised so as to enhance the quality of the relevant service to the client. Further, the intermediary must document how the commission benefits the client and keep an internal record of all payments and benefits accepted from a fund manager. Swedish ‘retail funds’ are commonly referred to as being funds available and generally eligible for non-professional investors. ‘Professional investors’ are defined in accordance with the definition set out in the SMA and ‘non-professional investors’ are defined as investors other than professional investors. Swedish retail funds include UCITS and AIFs in the form of special funds. These funds are construed as pools of assets without any legal capacity and thus cannot acquire rights or assume liabilities. In addition, such funds may not be sued in, or brought before, courts of law or any other public authority. Consequently, these funds merely consist of the fund assets. The fund manager represents the unitholders in respect of all issues concerning such a fund and it is also required by law that the assets of the fund are kept with a custodian that is independent of the fund management company. The fund is formed via capital contributions from investors and through the SFSA’s approval of the fund rules. Accordingly, the establishment of a Swedish retail fund requires a three-party relationship that is governed by contractual and statutory obligations. 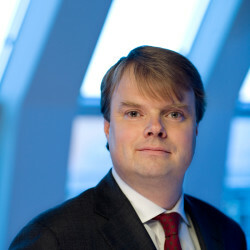 Collective investment structures established as legal vehicles other than UCITS, AIFs and special funds, such as a limited liability company or similar foreign entities, may come to fall within the scope of Swedish fund regulation, but it is currently not possible to set up the above-mentioned funds on the basis of company law as a regulated form of investment fund. The sets of rules governing retail funds are, together with executive orders made thereunder, the SFA and the SFSA’s Regulations FFFS 2013:9 regarding securities funds, which govern UCITS, and the AIFMA and the SFSA’s Regulations FFFS 2013:10 regarding alternative investment fund managers, which govern special funds. Exchange-traded funds will also be governed by the rules of the relevant market. The laws and regulations presented above are supplemented by guidelines issued by the SIFA that are considered as codifying good marketing practices. Yes, the establishment and marketing of funds available to non-professionals require authorisation, either from the SFSA or by the regulator in an EEA state from where its licence can be passported. In connection with the SFSA’s authorisation process for retail funds, the fund rules of the funds that the applicant fund manager intends to manage, must be submitted to the SFSA for approval. The fund may not be marketed prior to such approval except under the circumstances described in question 9. There are no formal restrictions governing who may market retail funds or the intended recipient of such marketing. Instead, retail funds can be marketed to any type of investor. Further, the marketing entity does not need to be licensed or authorised provided that the marketing does not include offering of the funds or otherwise would require a licence, pursuant to MiFID II and the SMA. A Swedish professional fund distributor is normally authorised by the SFSA, either if it gives investment advice in the course of its distribution or if its distribution activities (such as the receipt and transmission of orders in respect of financial instruments and the execution of orders in respect of financial instruments on behalf of clients) comprise the regulated activity. Retail funds are characterised by extensive consumer protection rules whereby a manager of a retail fund must comply with a variety of special requirements that are not applicable in relation to other types of investment funds. The most prominent requirement is the obligation to act exclusively in the common interest of the unitholders. Further, the manager is required to, inter alia, maintain, or cause to be maintained, a register of all holders of units in the fund, immediately redeem a unit upon the request of a holder and maintain a suitable diversification of investments in accordance with the principle of ‘risk spreading’ (see question 17). Further, the AIFMA includes added provisions in relation to non-professional (retail) investors, including additional requirements for a Swedish marketing authorisation. The investment of retail funds shall follow the risk-spreading principle and be made in financial assets associated with high liquidity, including transferable securities, money market instruments, derivative instruments (excluding commodity derivatives), units in other UCITS and deposits with credit institutions. As a general rule, however, subject to exemptions, the value of the instruments issued by any single issuer may not exceed 5 per cent of the fund’s value. Besides the possibility of raising short-term loans in an amount not exceeding 10 per cent of the fund’s value, a management company may not raise or grant cash loans or act as guarantor within the fund operations. Swedish retail funds that are organised as UCITS funds or as special funds are exempt from Swedish taxation. Swedish retail funds that are organised as limited liability companies are subject to Swedish taxation for all income as one source income - income from business - at a tax rate of 22 per cent. However, dividends and capital gains on shares held for business purposes are exempt from Swedish taxation. Individuals, who are tax resident in Sweden, that hold units in UCITS funds or special funds are subject to a standard income tax on the units. Further, capital gains and dividends from UCITS funds and special funds held by individuals who are tax resident in Sweden, are generally subject to taxation as income of capital. Capital losses are tax deductible; however, rules regarding reduction of capital losses must be considered. Individuals, who are tax resident in Sweden, that invest in limited liability companies are subject to taxation on capital gains and dividends as income of capital. Capital losses are tax deductible; however, rules regarding reduction of capital losses must be considered. The portfolio of assets of a retail fund must be held by a separate custodian, which does not need to be a local entity. A Swedish custodian must be a bank or a credit institution and have its registered office in Sweden or, where the custodian is a branch established in Sweden, in another country within the EEA. The engagement of a custodian may not be given to an entity whose interests may come into conflict with the management company or the unitholders. The custody of financial instruments (including, for example, fund units) may only be conducted by an entity that has been granted an authorisation by the SFSA (or by the competent authority in another state within the EEA). A Swedish custodian may be required to assume the management of a retail fund where the management company has entered into insolvency proceedings, liquidation or if the SFSA has revoked the management company’s authorisation to conduct fund operations. In the event the custodian becomes subject to insolvency proceedings, the unitholders would be protected, as the ownership of the fund units is reserved for the unitholders who may easily be distinguished. However, any cash held by the custodian would most likely be unprotected. Governance requirements primarily include risk management, handling of potential conflicts of interest and acting in a manner that maintains the public’s confidence in the fund market. More detailed guidance is provided in guidelines issued by the SIFA. In connection with the authorisation process (and upon revision), the management company is required to submit a number of documents to the SFSA, including, for example, the prospectuses, key investor information documents, an annual report and a semi-annual report. Upon authorisation being granted, the fund manager and the retail fund will be registered in the SFSA’s public register. The management company must have a board of directors that consists of at least three members and a managing director and is obliged to maintain, or cause to be maintained, a register of all holders of units in the fund. In addition, a management company must document and preserve each portfolio transaction for all UCITS it manages. The documentation must be retained for at least five years and must contain sufficient information in order to reconstruct each transaction performed. A management company must submit a quarterly report containing a profit and loss account and a balance sheet for the management company itself to the SFSA. The quarterly report must also contain information on capital requirements and methods used for calculating the capital base. the assets and liabilities of the fund. As from 1 August 2017, Swedish-based managers, and branches based in Sweden, are required to submit reporting in relation to their measures against money laundering and terrorism financing on an annual basis. A UCITS is by statute an open-ended investment fund available to the public. As such, the fund must accept investments. In general, no restrictions may be placed on the issue, transfer and redemption of units in the funds. However, it is possible to impose rules stipulating, for example, a minimum subscription amount. Upon the request of a unitholder, a unit must be redeemed immediately and may only be postponed under extraordinary circumstances. A special fund may, however, subject to the SFSA’s consent, incorporate restrictions on the issue of units in the fund. In addition, a special fund may limit the possibility for investors to redeem their units to once per year. Restrictions must be incorporated in the fund rules that must be approved by the SFSA in connection with the formation of the fund. Different types of legal vehicles may be used for the establishment of a non-retail fund and, in general, the fund type will govern the choice of vehicle. In this context, and from a Swedish perspective, non-retail funds comprise AIFs. Owing to the investment restrictions described in question 17, a Swedish hedge fund may only be formed as a special fund intended for the public (ie, retail investors), and therefore of an open-ended nature. Swedish private equity funds and real estate funds are primarily formed as limited partnerships but may also be formed as limited liability companies. An essential difference between a retail fund and a non-retail fund is that the latter does not have to be separate from the fund manager and merely consist of the fund assets. Consequently, a non-retail fund can be a legal person with the ability to assume rights and obligations. Furthermore, a non-retail fund could be internally or externally managed. In the former case, the fund is the manager and the entity is required to possess all functions necessary to be able to comply with applicable laws and regulations. It should be noted, however, that Swedish legislation does not allow for a limited liability company to have variable capital, which impedes the establishment of non-retail funds as limited liability companies and of any nature other than open-ended. The sets of rules governing non-retail funds are the AIFMA and the SFSA’s Regulations FFFS 2013:10 regarding alternative investment fund managers. There is no requirement to obtain authorisation for the establishment of a non-retail fund. The activities requiring authorisation are, instead, management and marketing of a non-retail fund. However, where the fund is internally managed, the establishment would, in practice, require authorisation. A private equity fund would, for instance, need to apply for authorisation with the SFSA upon its establishment, which may in some cases correspond to its ‘first closing’. A non-retail fund may be marketed without authorisation under the circumstances set out in question 9. Anyone can market a non-retail fund that has been authorised for marketing in Sweden, provided that the marketing does not go beyond the concept of ‘promotion’. The marketing entity would not need to be licensed or authorised unless the marketing activities include offering of the funds or otherwise would require a MiFID II licence or authorisation pursuant to the SMA. As a main rule, non-retail funds may only be marketed to professional investors, as defined in the SMA. However, it is possible to market certain non-retail funds that have been formed as AIFs to retail investors. In order to market a non-retail AIF to retail investors, the units or shares of the AIF have to be admitted to trading on a regulated market (ie, an exchange or a multilateral trading facility) and there has to be a key investor information document available for the fund. Further, it is possible to market AIFs formed as private equity funds to a particular category of Swedish non-professional investor. This is permitted under the prerequisites that units in the fund may not be redeemed within five years of the first investment and that the fund generally invests in issuers or non-listed companies for the purpose of acquiring control. In addition, the investor must commit to invest an amount of at least €100,000 and confirm knowledge of the risks associated with the investment in writing. No. Even though a non-retail fund may only be marketed to retail investors subject to certain prerequisites, there is no prohibition on an investment being made by a retail investor on a reverse-solicitation basis. Fund managers of AIFs directed at professional investors are required to establish arrangements to avoid the funds being marketed to retail investors. In general, however, there are fewer requirements imposed on managers of non-retail funds than on managers of retail funds. Non-retail funds organised as UCITS funds, special funds or limited liability companies are subject to the same tax regulations as described for retail funds. Individuals, who are tax resident in Sweden, that invest in non-retail funds are subject to the same tax regulations as described for individuals in retail funds. See question 18. For each AIF, the assets must be held by a separate custodian. The custodian does not have to be established locally but must have its registered office within the EEA. The obligation to appoint a custodian is intended to provide satisfactory protection of a fund’s assets in case of insolvency proceedings involving the manager. Similar to UCITS, the management of an AIF formed as a special fund may be assumed by the custodian. The most prominent governance requirements include conducting operations in a professional manner so that the public’s confidence in the fund market is maintained, as well as adequate risk and liquidity management, handling of potential conflicts of interest and establishing a remuneration policy compatible with such requirements. The authorisation process involves submission of various documents and upon authorisation being granted, the non-retail fund and the manager (as the case may be) must be registered with the SFSA. The management company of a non-retail fund must have a board of directors consisting of at least three members. The reporting requirements regarding non-retail funds vary depending on the fund type and the value of assets under management. In general, the manager or the fund (as the case may be) must report more frequently and in greater detail in relation to funds that are marketed to retail investors and whose asset value exceeds certain thresholds. The frequency of such reporting varies between quarterly, semi-annually and annually. Reports are submitted online using software provided by the SFSA. As from 1 August 2017, Swedish-based managers, and branches based in Sweden, are required to submit reporting in relation to their measures against money laundering and terrorism financing on an annual basis. Management of separate accounts (ie, discretionary portfolio management) is typically structured through an agreement between the investor and the manager whereby an investment strategy (portfolio allocation, etc) is determined based on the investor’s investment horizon and risk profile. The manager then makes investments relating to the portfolio on a discretionary basis without having to obtain prior approval for each transaction from the investor. Within a managed account, the manager receives funds from the investor subject to a reporting obligation. Initially, the manager has to categorise the investor as either professional or non-professional and such categorisation thereafter governs the obligations of the manager. The manager is required to safeguard the client’s interests and ensure best execution in terms of price, fees, etc, and to disclose information to the investor as required by law. Management of separate accounts is a regulated activity under Swedish law and the entity providing the service must be regulated by, and obtain authorisation from, the SFSA. Management must be carried out by either a credit institution or a securities business authorised under the SMA. A fund management company that has obtained authorisation to manage a UCITS or an AIF may, however, also be granted separate authorisation from the SFSA to conduct discretionary portfolio management. Marketing in the sense of ‘promotion’ of separately managed accounts is not a regulated activity and does not require authorisation. All marketing material is, however, subject to the Marketing Practices Act, which requires the marketing to be consistent with generally accepted marketing practices. 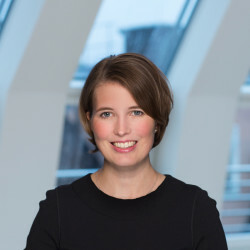 In Sweden, it is currently only possible to establish a UCITS or a special fund on a contractual basis (ie, it is not possible to set up such funds on the basis of company law as a nationally regulated form of investment fund). A governmental inquiry has proposed that Sweden should introduce the possibility of establishing UCITS or special funds with a variable capital (similar to that of a SICAV) for purposes of enhancing Sweden’s competitiveness on the international fund market. In order to list a retail fund on Sweden’s largest stock exchange, NASDAQ Stockholm, the fund manager must prepare an information brochure or prospectus and have the units registered on central securities depositary registers at Euroclear Sweden or, subject to NASDAQ’s consent, with another Swedish or foreign central security custodian or the equivalent. Further, the listing of foreign retail funds on NASDAQ Stockholm requires prior registration or passporting of the relevant fund with the SFSA. 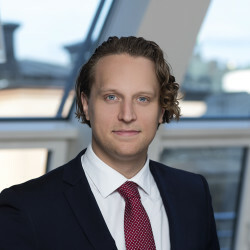 Owing to the contractual basis on which UCITS and special funds are formed, it is not possible to redomicile a foreign UCITS or equivalent to a special fund in Sweden, and where the overseas vehicle has variable capital (eg, a SICAV), Swedish legislation would not permit the maintenance of such funds. However, Swedish legislation would allow for the merger between a Swedish UCITS and a foreign UCITS where the Swedish fund is the receiving fund. A merger between a foreign AIF and a Swedish AIF is not regulated by Swedish investment fund legislation. In relation to funds and investors domiciled within the EEA, the freedom of movement of capital provides that no restrictions may be placed on investments within the EEA. As regards funds and investors domiciled outside the EEA, Sweden has adopted a regime that imposes no general restrictions on foreign investments. New Swedish regulations for fund managers entered into force on 1 January 2018, requiring the disclosure of sustainability aspects in fund management. The new regulations are applicable to Swedish UCITS and all AIFs marketed towards non-professional investors in Sweden. The relevant fund managers are, inter alia, required to disclose information on the methods used for implementing sustainability efforts. This information must, subject to some variation, be provided in the prospectus and annual reports and on the fund managers’ websites. Vinge is a full service law firm with a substantial international practice and with a strategic focus on M&A and corporate finance. The firm has acted in most of the major mergers and acquisitions in Sweden in recent years and has consistently achieved top positions on Mergermarket’s list of M&A advisers in the Nordic market as well as Tier 1 rankings with the leading ranking institutes.